Protected Hoses - All of the hoses are routed through the durable backhoe arm for a streamlined design and enhanced protection. 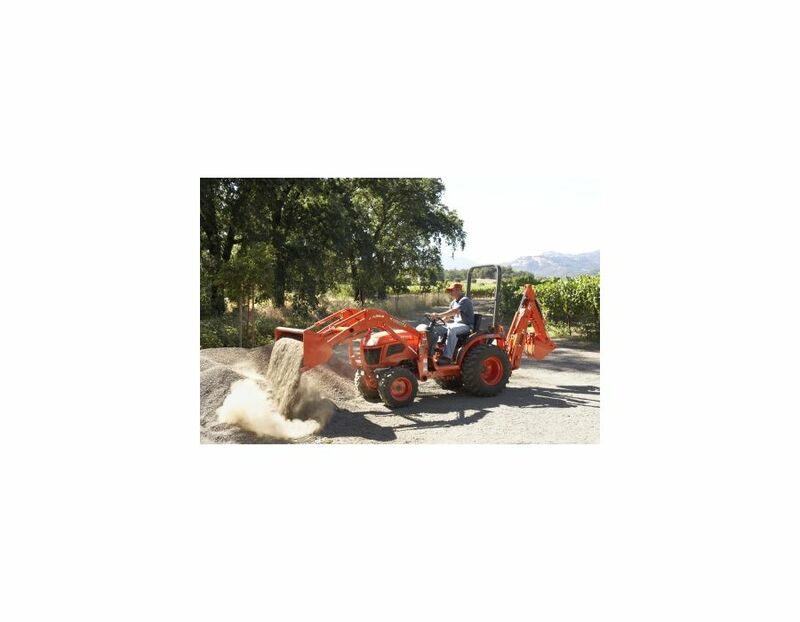 Incredible Digging Power - The BH65 offers an impressive digging depth of 6.7 feet and boasts more than 2,500 pounds of bucket breakout force. 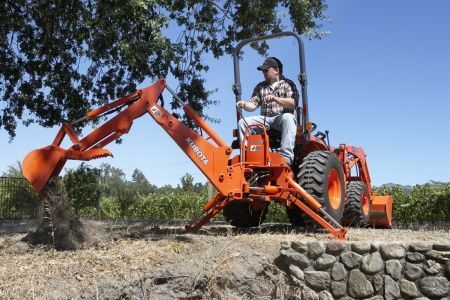 Large Operator Platform - Thanks to the new reversible seat and a compact backhoe control lever console, the tractor offers a spacious platform area for comfortable backhoe operation. 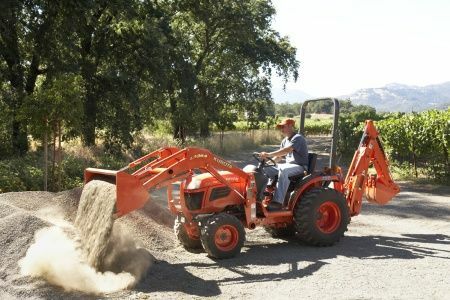 And, since the backhoe connects closer to the tractor, overall balance is enhanced. 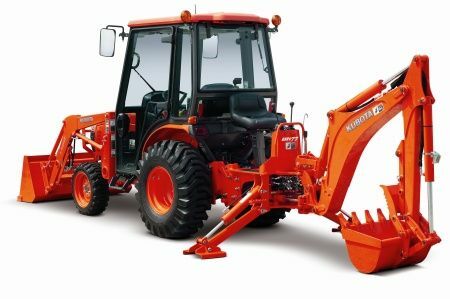 Subframe Structure - There’s no need to remove the BH65’s subframe—it operates with the loader installed, and doesn’t interfere with the mid-mount mower linkage. In addition, it allows 3-point linkage with the subframe still in place. Reversible Seat - The B2320/B2620/B2920 tractors feature a new reversible seat, which is standard-equipped with the BH65 backhoe. 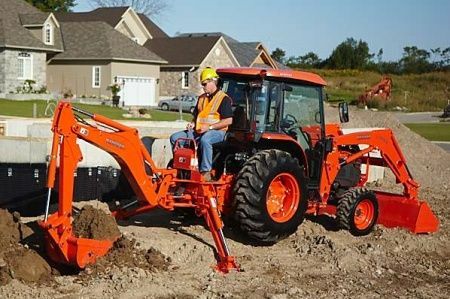 This convenient seat swivels from front to back to save space and make backhoe operation more efficient. It also slides fore and aft for improved operator comfort. Mechanical Thumb (Optional) - Kubota’s BH65 is also available with an optional 6-position thumb, for expanded capabilities and efficient material handling. 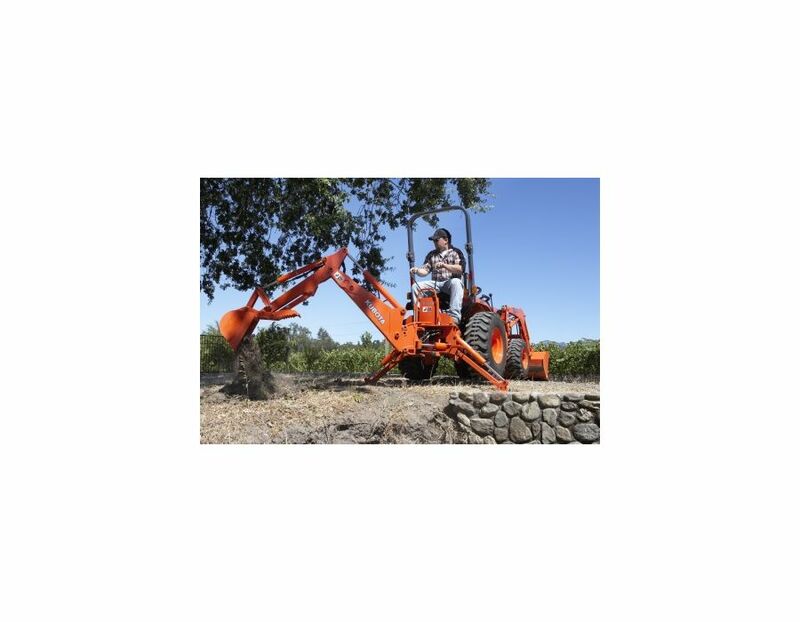 4-Points Quick Attach System - With its pin-and-hook type quick-attach system, the backhoe can be attached in minutes—without tools. And, with four connecting points for structural integrity, tractor balance is improved. Stabilizer Spread Transport - 50.4"
Maximum Digging Depth - 80.1"
The BH65 Kubota Backhoe is available at Kooy Brothers, located at 1919 Wilson Ave., Toronto, Ontario.